As I posted last week, one of the focuses for me this year at TCEA was iPads, in particular creating eBooks. The other focus I settled in on this year was the use of QR Codes in education. What are QR codes you may ask? Well…let me tell you! QR stands for Quick Response. They are the little matrix barcodes you are starting to see pop up on advertisements, in stores, on the tags for a product, and many other places too numerous to mention. They link to other information about whatever is being sold or discussed. By using a scanning application that can be downloaded to many smart phones, you can scan the QR code. It automatically relays information to you. A great example was when I was at Home Depot trying to decide what plants to purchase for my yard. Each type of plant had a QR code on its tag. By scanning the code I was taken to a website that told me more about the plant, such as how much sun it wants, etc. It was great information at my fingertips. This concept has made its way into education. I was excited to learn more about how they are being used…and I wasn’t disappointed! I sat in a session and learned how a school that is very diverse is using QR codes to welcome students and parents in their own languages. They scan a code that is posted at the front of the school with their and marked by their language. The code links to an audio file that speaks to them welcoming them to the school. They are also using the codes to provide tours of the school in native languages. What a marvelous idea! A campus I work with, Velasquez Elementary (@VelasquezElem), uses QR codes to link to their website and also to a form for their parents to complete. Other ideas I have heard of are linking to formulas in math (kind of like an electronic tutor), linking to newsletters, book reviews, schedule reminders, etc. Your imagination is the only thing limiting you here as long as you have devices to work with. @JenBrewer04 used QR codes with her 1st graders to help review contractions. She placed the QR codes around their pod. Above the code was a contraction (such as can’t). The students had to write what the contraction stood for. They then scanned the QR code to check their answer. When they scanned the code next to can’t it showed “can not” in text. The kids had a ball on their contraction scavenger hunt. What a great way to keep the students focused! Bonnie Kocurek, a 3rd grade teacher, had her entire class creating QR codes for a review. They were reviewing geometric shapes. On one side of an index card she had the students write a riddle to describe a shape or figure. They then created a QR code for the name of the shape and placed it on the back of the card. Students can then scan to check. 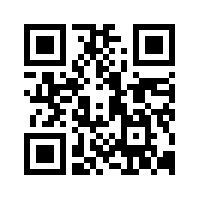 To create your QR codes visit a QR code generating site. My favorite is www.qrstuff.com. It is very simple to use, and it works on an iPad! There are apps you can download to create QR codes as well, but this website works great. From the site you can click to download the image and then save it to your camera roll. Print out your codes and post them for the activity. Have devices ready for your students to use for scanning the codes. You will need to have a scanning app loaded onto the devices. Some apps that I have found quite effective, and free, are Red Laser and Scan. Get ready for the students to have a ball inegrating technology into their everyday school life!